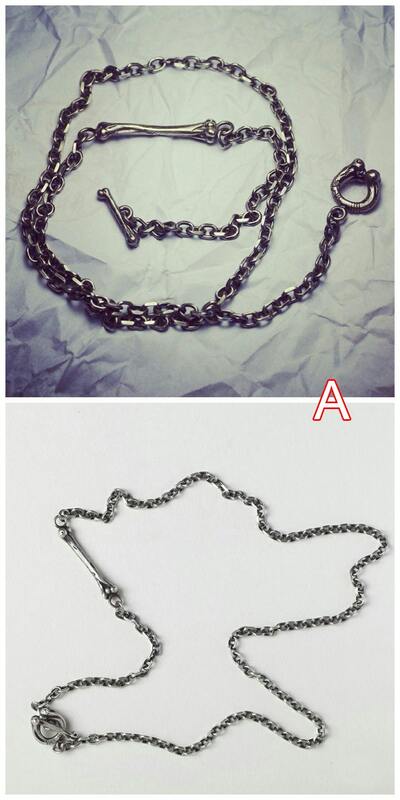 The silver bone necklace is a simple silver chain, with a single silver bone built in the chain links on one side. 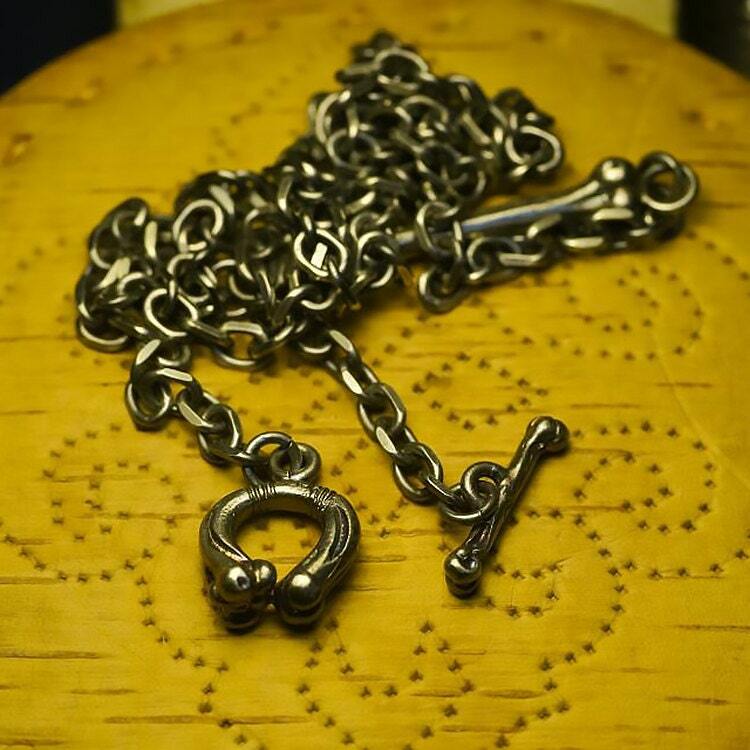 At the ends of the chain, there is another set of two small silver bones that form the stylized toggle clasp to close the chain. 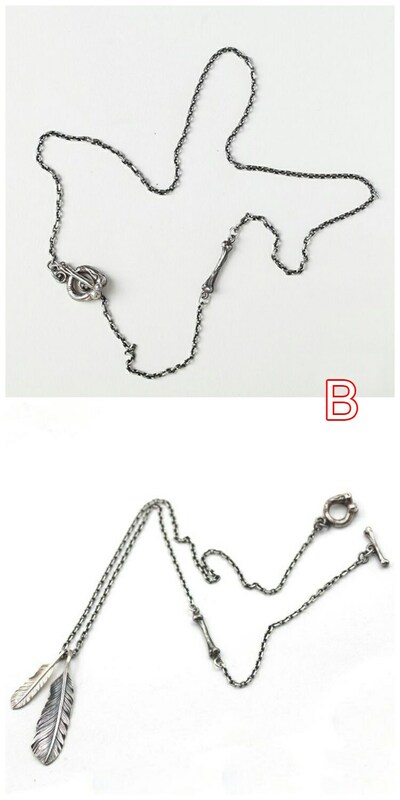 You can add extra pendants to the chain to build up a custom necklace for yourself. 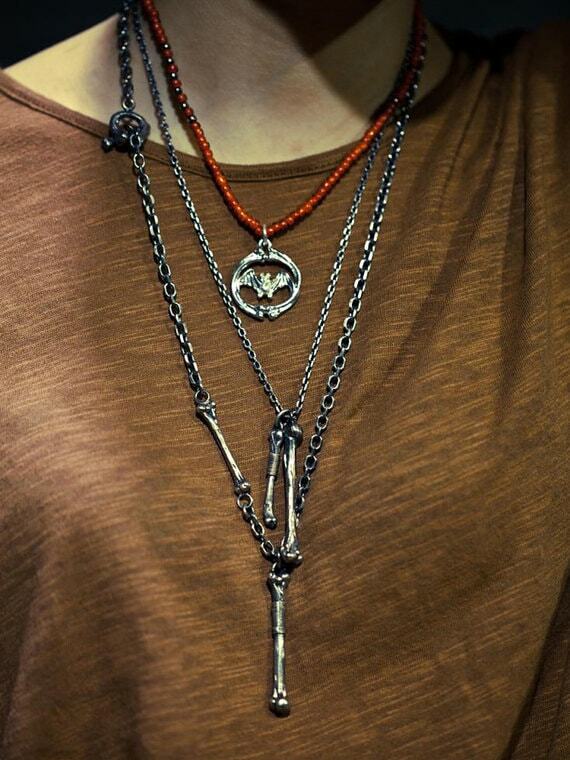 Note: This is a basic necklace with bone links and toggle clasp. 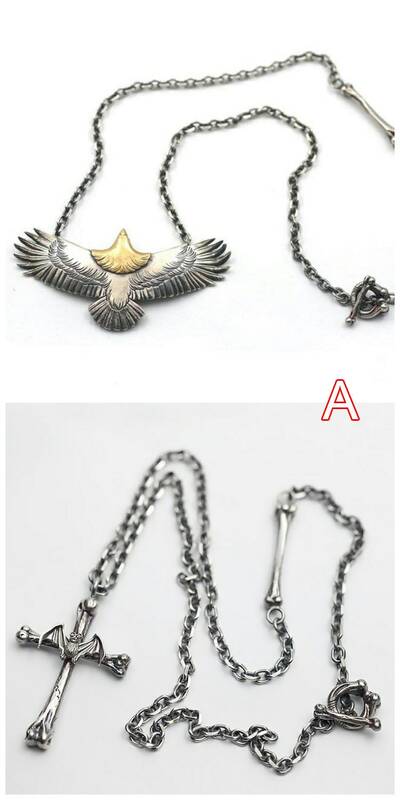 Other pendants shown in the pictures Are Not Included, for displaying purposes. Pendants are available for purchase separately. The silver bone necklace is available in two finishes - the original, shiny silver finish, and an oxidized, vintage finish.